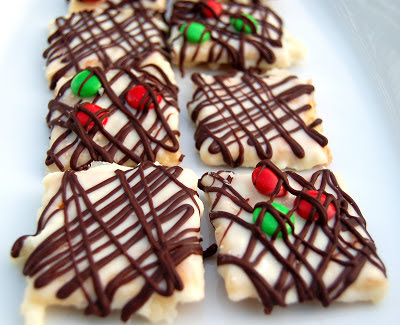 The Ultimate Cookie Party is in full swing. 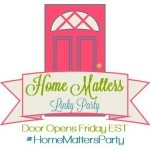 We are having so much fun and sharing loads of awesome recipes and printables. If you haven’t stopped by yet, you should! Click HERE for the party. 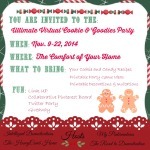 The party runs for two weeks (through November 23rd), so there is still time to share and exchange. I thought I would do a small recap for you by posting mine and Rory’s Week One Favorites. 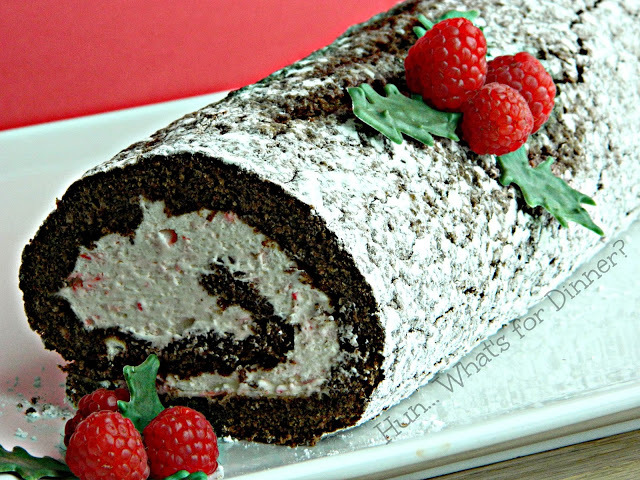 Chocolate Roll with Candy Cane Whipped Cream by Hun… Whats For Dinner? by Hun… What’s For Dinner? 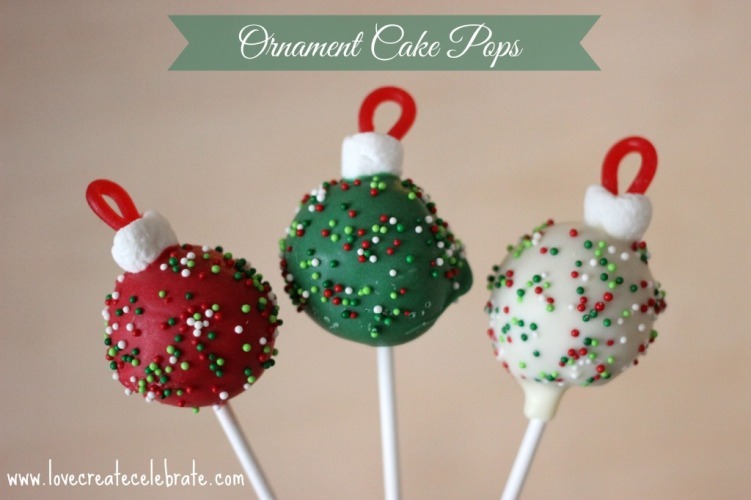 Be sure to stop by these lovely blogs and share some love. Check-in next Friday for Week Two Favorites! 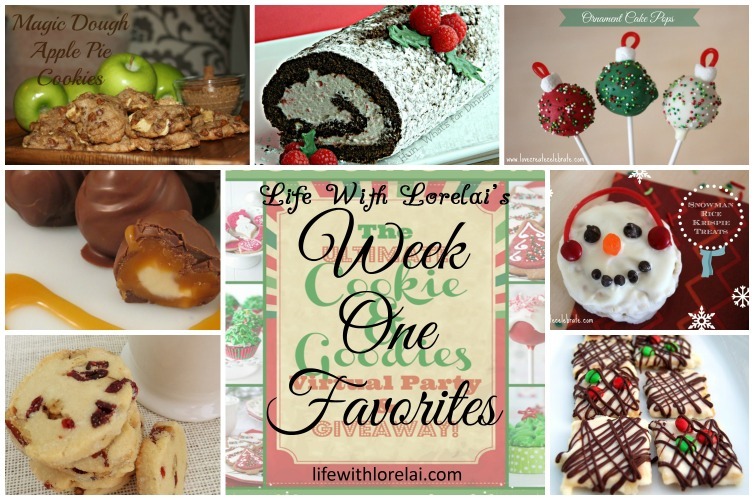 UPDATE: Week Two Favorites is HERE! 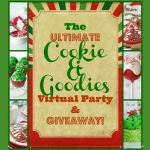 Don’t forget to visit The Ultimate Cookie Party and share your own recipes. 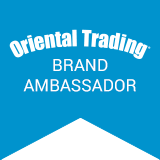 And ENTER to WIN $350 and other prizes too. 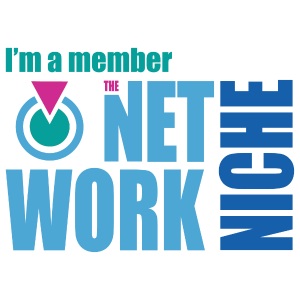 We’re having fun… Join us! 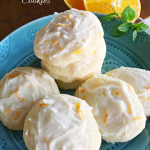 Do you have a favorite recipe from the first week? 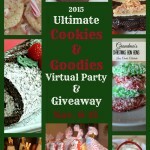 2015 Ultimate Cookie & Goodies Virtual Party and Giveaway! I LIKE Your favorites! 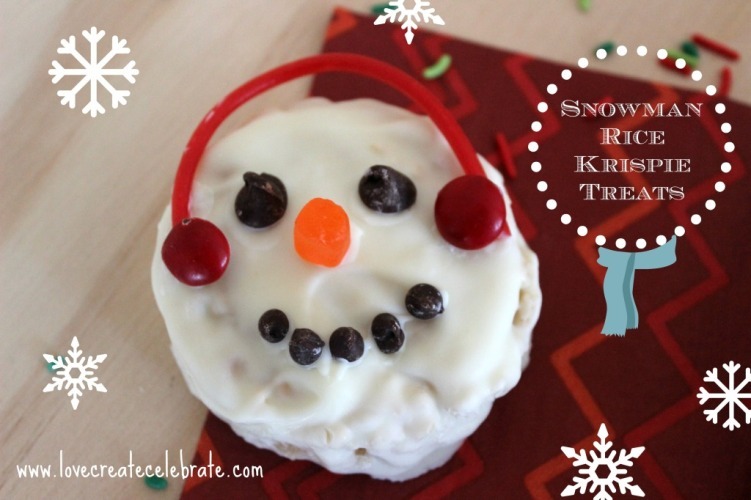 I simply must make those Apple Pie cookies and I know those Snowman Rice Krispy treats would be a big hit with my grandchildren! 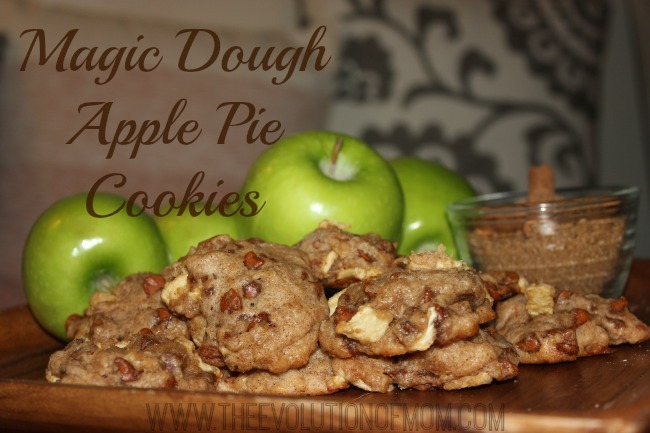 Rory thought those apple pie cookies looked amazing! 🙂 So glad you like my favorites. Wow Lorelai, you are really keeping up with this one. I have visited and pinned some of the ones you have on here. 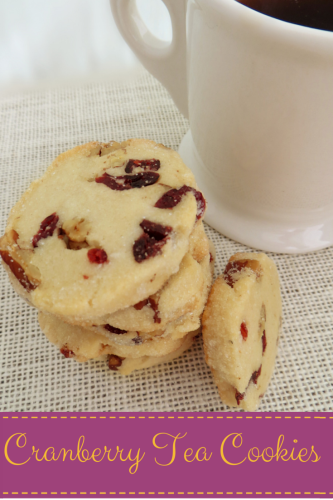 Those cranberry tea cookies are surely are tempting! Oh yes. those cranberry tea cookies look amazing. Rory and I want to bake up a batch, put on a pot of tea, and snuggle in for a good Agatha Christie or Rosemary & Thyme mystery movie. It’s so hard to choose! But these are great pics, for sure! Oh my yumculicuus heart, there are so many recipes that look good, WOW, wonder how it would be to have a bake off with all that contributed to this cookie party. 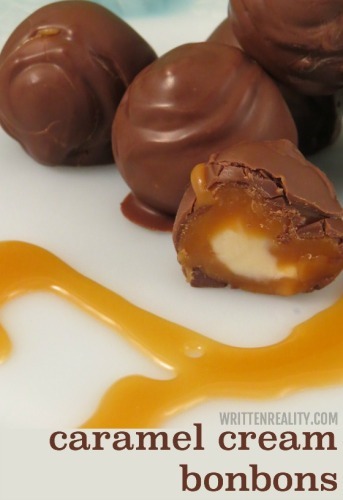 Can you imagine all the ladies whipping up these morsels? 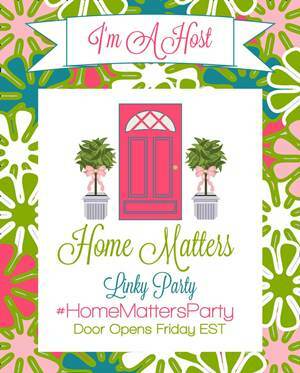 Now I am actually stopping by from Merry Monday party earlier this week and Now I have an invitation for you to stop by and link to yet another Party. Hope to see you soon, have a great week!!! 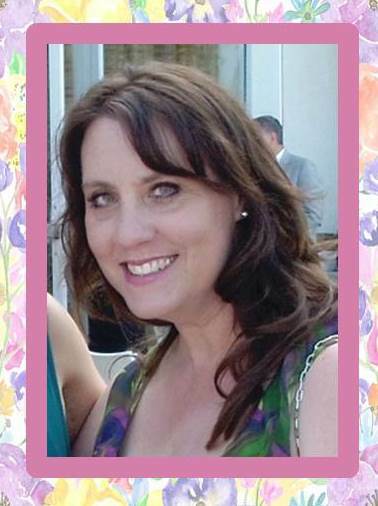 Thanks for stopping by, Karren! 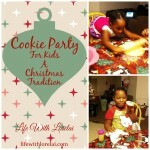 We have been having a blast with the cookie party… definitely tons of wonderful recipes to try. YUM!